Contrary to previous assumption, public transportation can take your breath away. 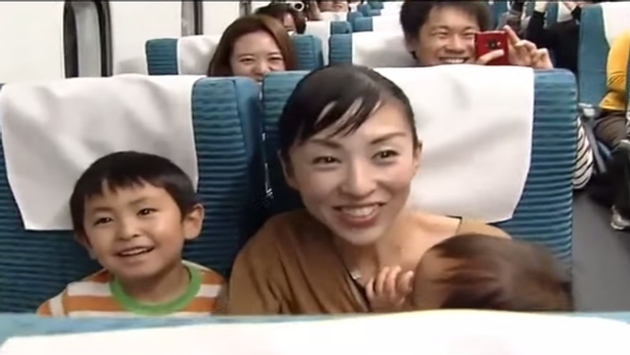 BBC News reports one hundred passengers managed to experience a test run of an extremely fast Japanese train. According to the report, testing will continue to take place over eight days as officials run the train that usurps previous speeds of the country’s swift bullet trains. For those curious, the classic trains can still reach a whopping “320km/h” or 200 miles per hour. In a sudden and dramatic turn, those speeds are certifiably yawn inducing, because the maglev trains scream across the countryside, besting its counterparts by over one hundred miles per hour. When utilized full time, the trains will take up to 1,000 people between cities at reportedly half the time of the current bullet trains, which should make our current metro rides nationwide seem absolutely sluggish by comparison.